Thank you for visiting the Ikas, Inc. website! 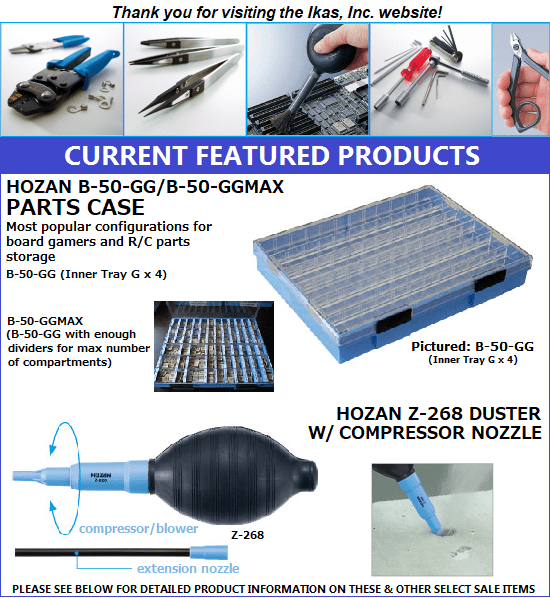 Please visit our web shop for our entire product lineup including the largest selection of HOZAN TOOLS available for purchase online in North America. In the interim, some links will take you to the "old" design. This will decrease as more "new" sections are uploaded. Thank you for your patience.